Warning: Viewing this site will make you hungry! 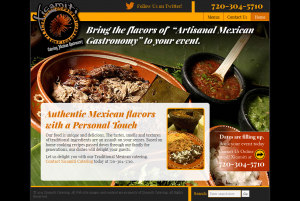 4word Systems, Inc., is pleased to announce the launch of Xicamiti Catering's official Web site, www.xicamiticatering.com. 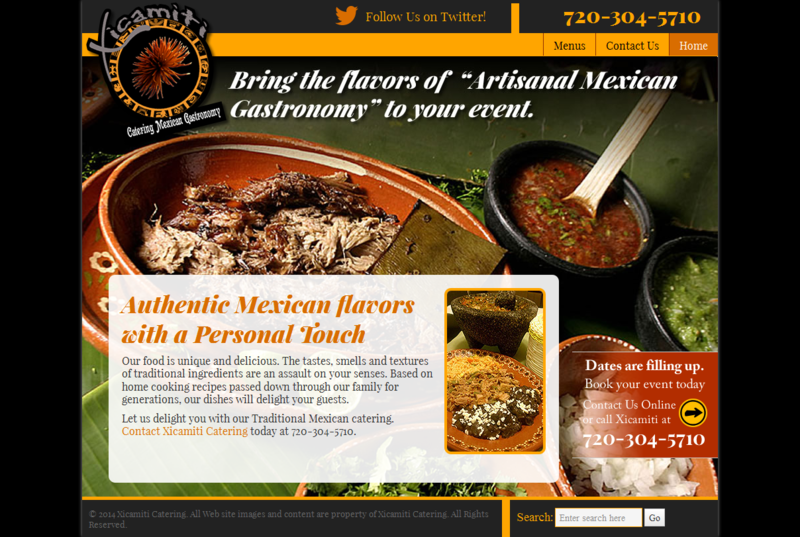 Xicamiti, pronounced Shé-ca-me-té, is a family-owned and operated catering company in Lakewood, Colorado. Serving genuine, Mexican regional gastronomy with a commitment to authentic flavors and a personal touch anywhere in the metropolitan Denver area. Although you can't smell or taste Xicamiti's dishes on the Web site, the large format photos on www.xicamiticatering.com bring to life the colors and textures of their traditional ingredients. Xicamiti Catering's dishes are based on home cooked recipes, passed down through their family for generations. You'll find the full catering menu on the web site. Xicamiti is a full service caterer, offering to turn your event into a delightful journey through Mexican roots and traditions. Their menu which is perfect for corporate parties, birthdays, baby showers, weddings, holidays, or any social event. Start your journey by visiting http://www.xicamiticatering.com/, follow Xicamiti Catering on Twitter at https://twitter.com/xicamiticater, or like them on Facebook at https://www.facebook.com/xicamiticater.